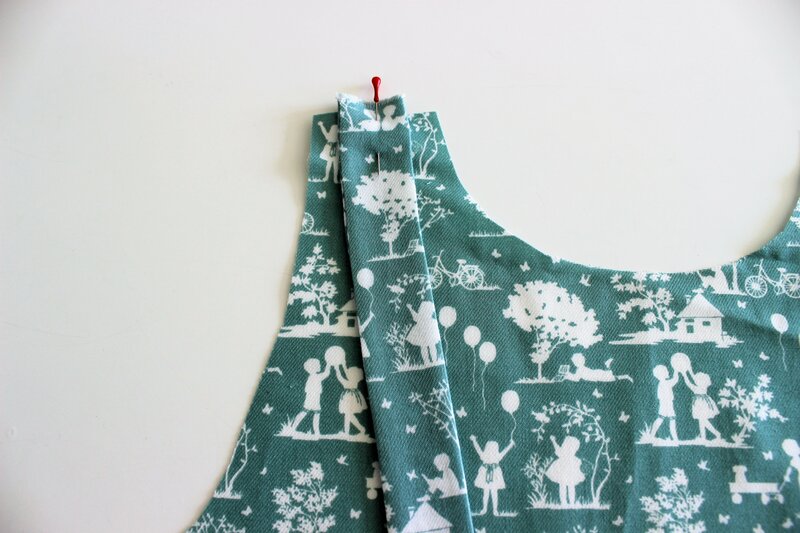 This is the second post from our little girl dress pattern hack. 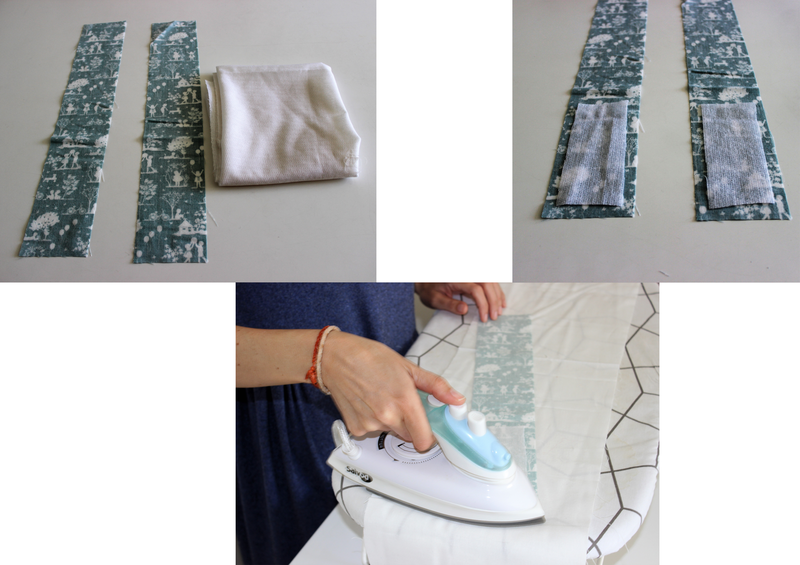 In the last post we showed you how to transform your Apricot pattern, and today it is time to start sewing. Ready? Let´s the fun begin! Let´s start with the straps. 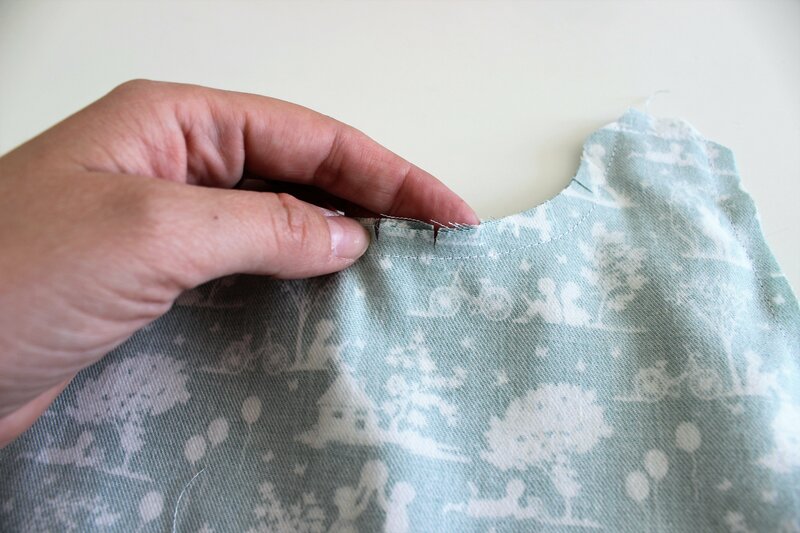 Using fusible interfacing, interline the part of the strap where wi will sew the button holes to join both straps together once the dress is finished. 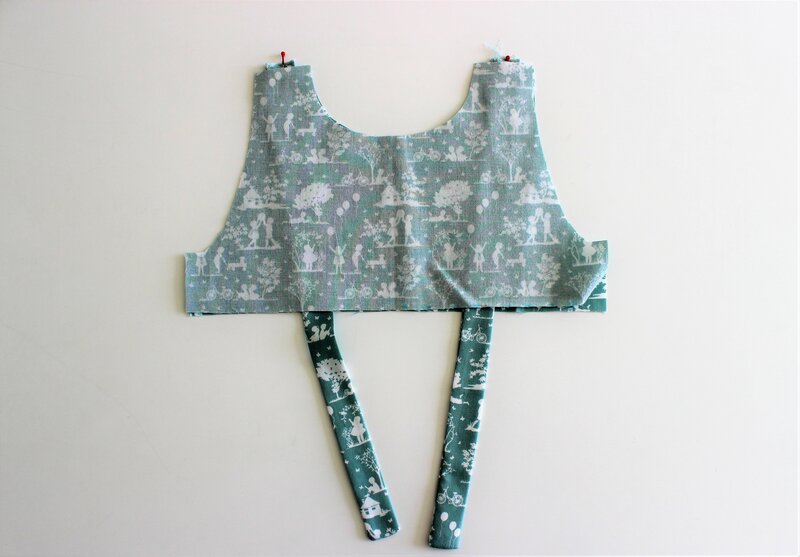 Cut a rectangle of your fusible interface fabric and put it on the wrong side of the fabric and press. 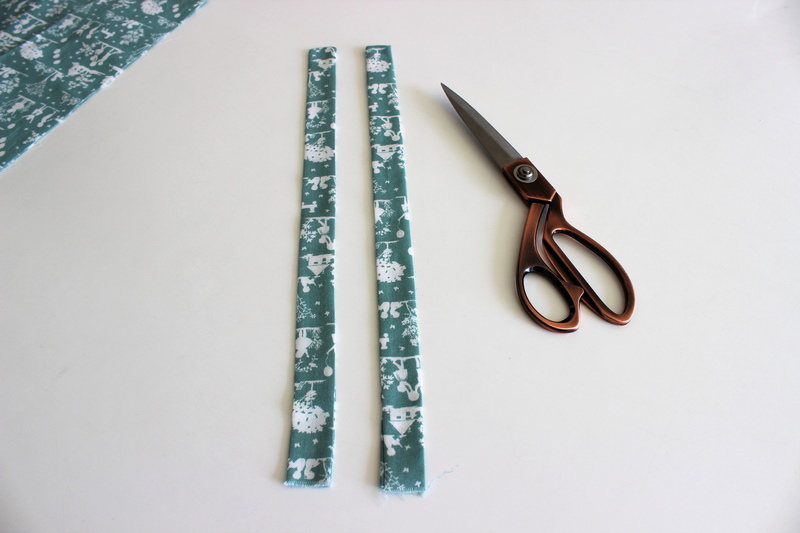 Fold the strap towards its lengthwise side, right sides together. Press. 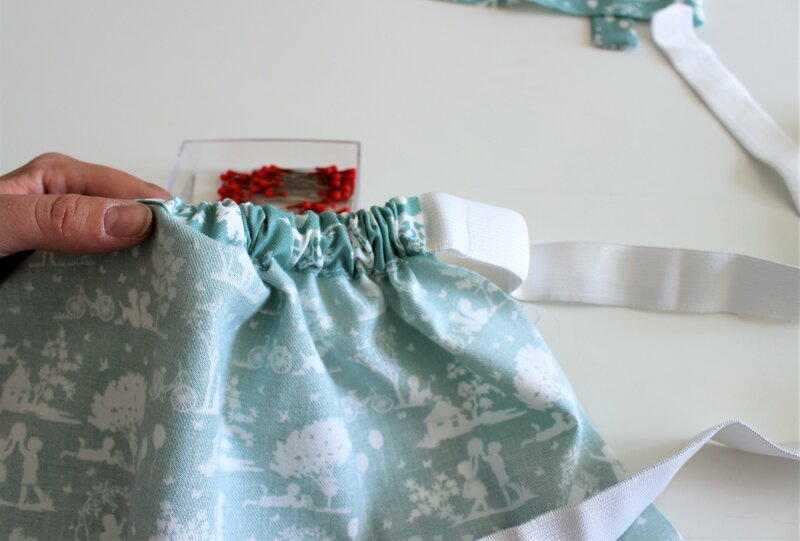 Now, secure with pins and sew, but do not sew the short side where we have not a fusible interface, so it keeps open to turn the strap around. Backstitch at the beginning and at the end. 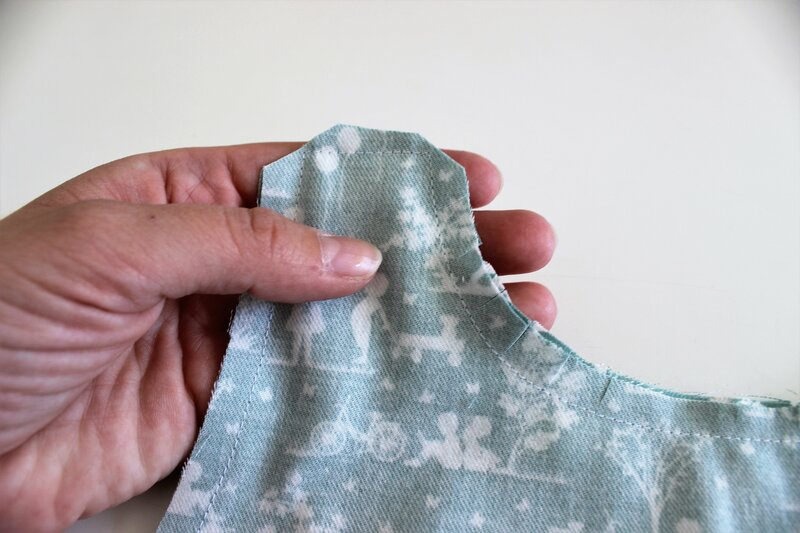 Once it is sewn, turn it to its right side and press gently to keep its final shape. Do the same process with the other strap. Once the straps are ready, it is time to attach them to the front pattern pieces. 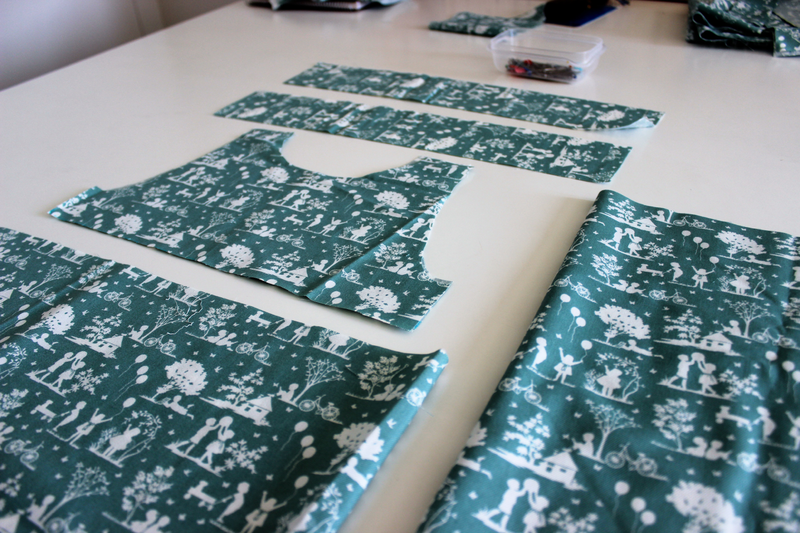 Let´s start attaching the straps to one of the two front pattern pieces, right sides together and secure with pins. Remember that the open short part of the strap is the one that is attached to the front pattern piece. 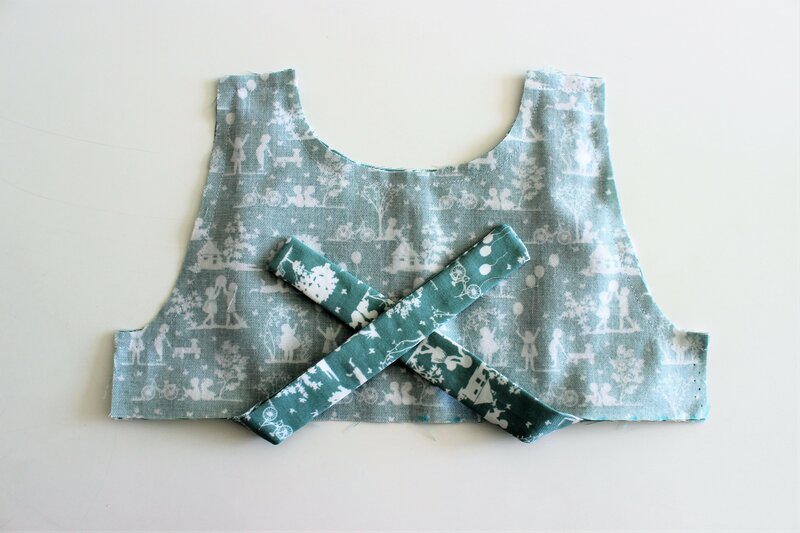 If your fabric is printed, take care so the direction of the print on your strap matches the direction of the print in your front pattern piece. 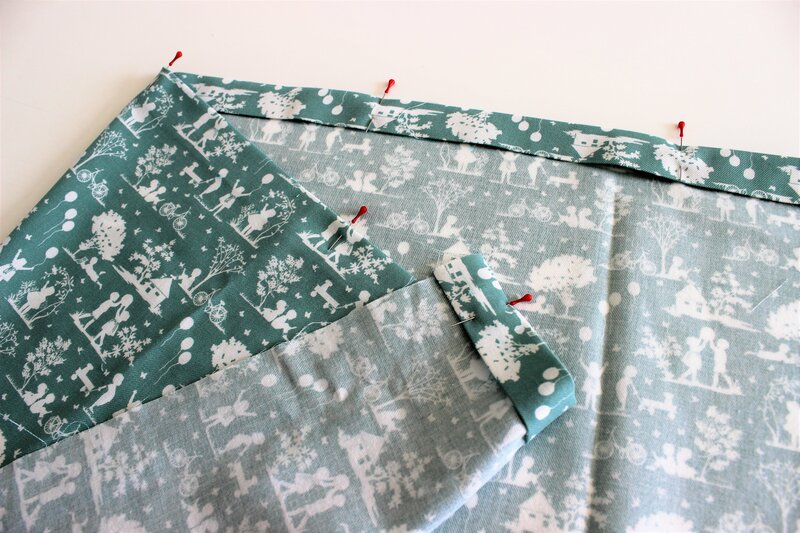 Then, it is time to attach the lining (the other front pattern piece) right sides together and secure with pins. 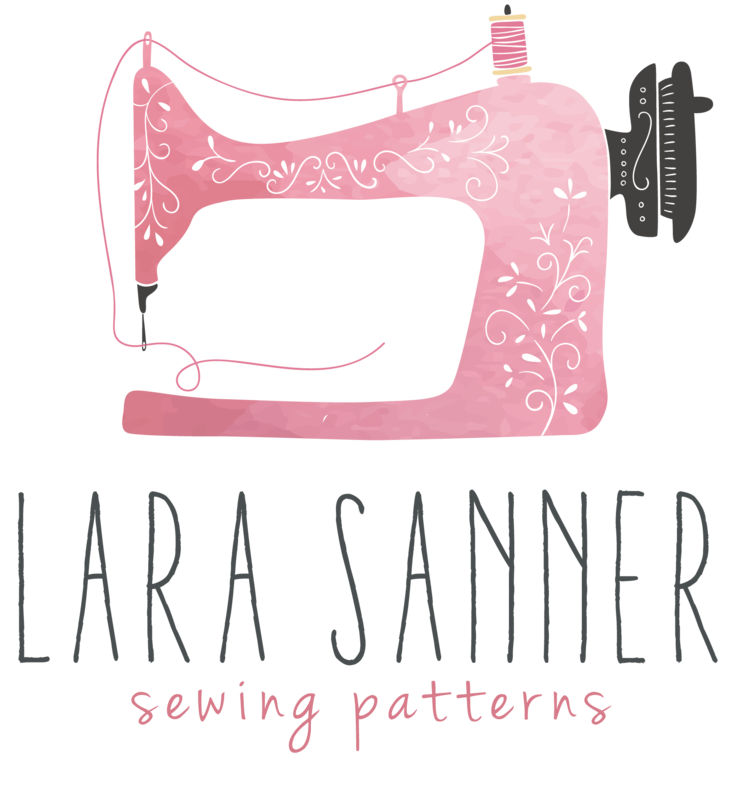 Sew the shoulder seams, the neckline, and the armholes, using 1cm seam allowances and backstitch at the beginning and at the end. Do not sew the side seams yet. Before turning it to its right side, make some perpendicular cuts in the curved areas. Reduce the seam also in the shoulder area. Now, turn it to its right side and remember it is very important to keep the curves and the final shape of the garment. Use a pin to help you, or a pointy tool to have the corners ready and perfect and press gently. Once the top part is ready, let´s start with the skirt. 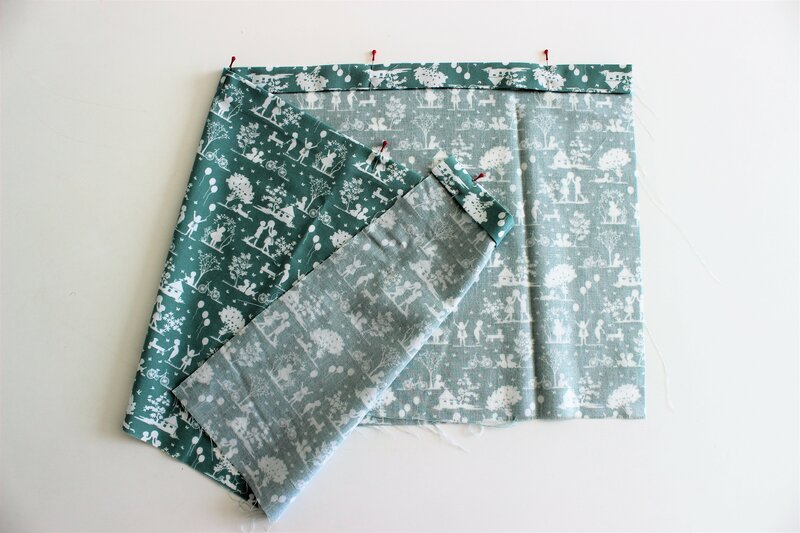 The front skirt is gathered so we have to make two parallel seams (inside the seam allowance which is 1cm) and with a stitch length bigger than the usual one (stitch length in position 4). Let the long edges to start gathering. 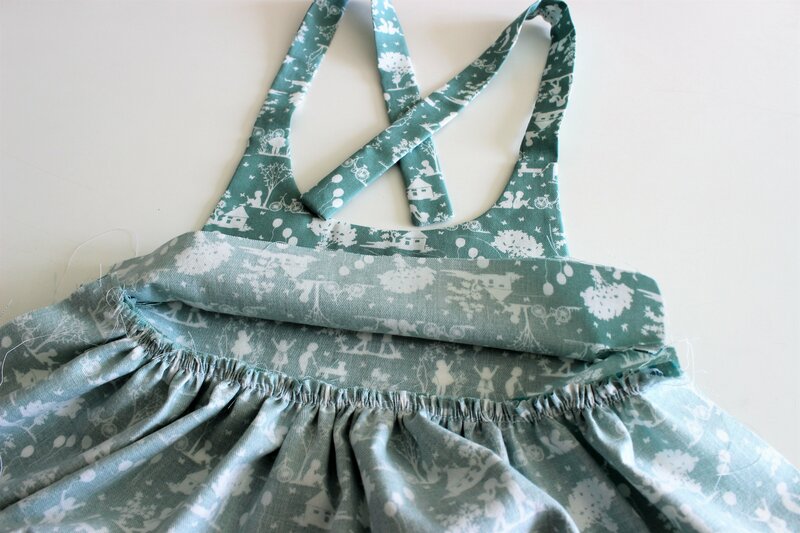 To do so, pull one of the threads and leave the other secure and gather till the length of the skirt is the same to the length of the front piece. The back skirt will have an elastic band on the waist. 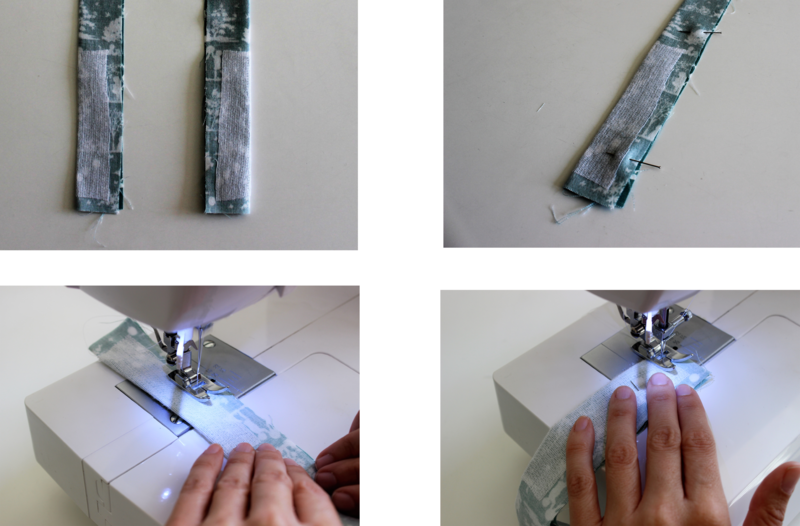 To create the channel through we will pass the elastic band, fold 15mm towards the wron side of the fabric and press. Fold again, now 25mm and press. Sew through the edge. Now, let´s attach the elastic band and distribute it along the channel so the gather is uniformly distributed. And that´s all. 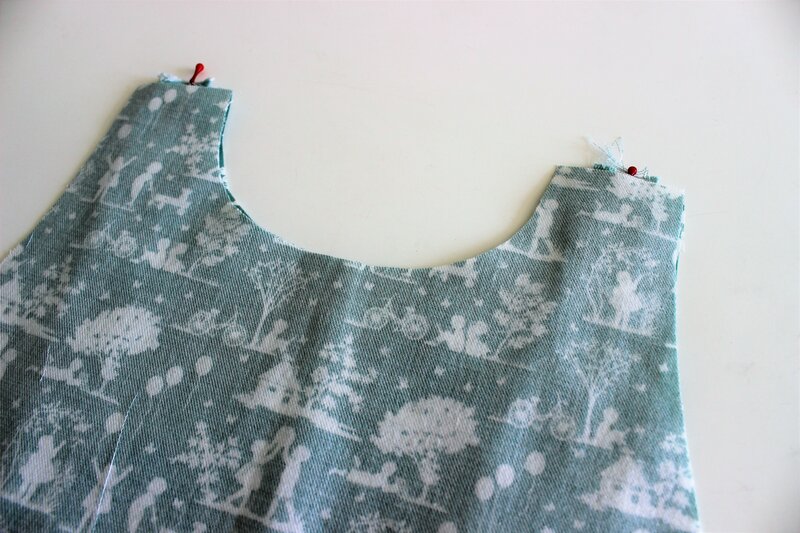 In the next post we will sew the side seams and attach the front and the skirt to finish our lovely dress.